The state-owned workers compensation insurer has low rates, pays high dividends and yet is still flush with cash. One of the most creative—and controversial—aspects of Gov. 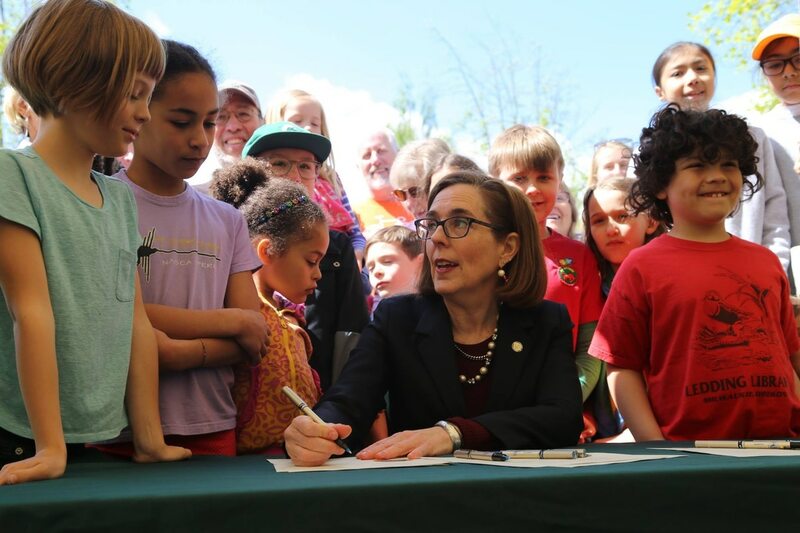 Kate Brown's new proposal for stabilizing employer contributions to the Public Employee Retirement System is her suggestion that the state seed a stabilization fund by sweeping $486 million from the reserves of the state-owned workers' compensation insurer, SAIF Corp. Although business interests have been the loudest proponents of addressing soaring PERS costs, business groups were quick to suggest the governor keep her hands off of SAIF's piggybank. The group that represents 830 commercial contractors spoke first. "SAIF's reserves are essential to protecting the safety of Oregon workers and ensuring low rates for contractors and other small businesses throughout the state," Mike Salsgiver, the Executive Director of the Associated General Contractors, Oregon-Columbia Chapter said in a statement. 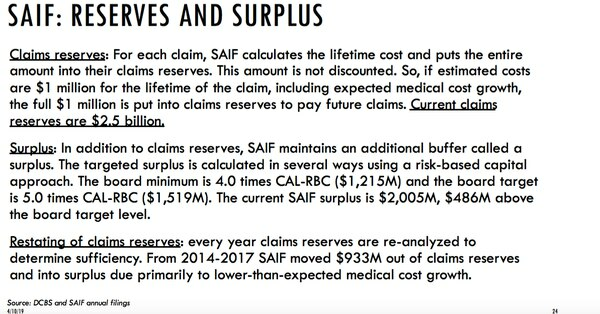 "You can be certain that raiding hundreds of millions of dollars from SAIF's reserves will negatively impact worker safety and accident prevention. That means higher rates for employers, reduced benefits for workers, or fewer investments in accident prevention." Oregon Business & Industry, which represents many of the state's leading companies, echoed those concerns. "We will strongly oppose this effort to raid SAIF to bail out PERS. The PERS solution should stand on its own," said OBI spokeswoman Samantha Tipler in a statement. Those criticisms are understandable. But analysis Brown's office provided along with her proposal shows that despite charging among the lowest rates in the nation, SAIF pays a bigger dividend back to policy holders than any of its peers and is sitting on a pile of cash far in excess of what regulators deem prudent. Here is a comparison of rates that shows SAIF's rates are the fourth cheapest in the nation and are 68 percent of the median rate. Here is a list of the top ten states in dividends, as a percentage of premiums written. (Oregon is at 22.89 percent; the national average is about 2.5 percent). That means customers already get a lot of their premiums back in the form of dividends. When Brown presented her plan to lawmakers on Friday, she acknowledged that because she was asking taxpayers to give up $400 to $500 million in kicker payments and taking money from SAIF, there would be lots of tears. "There's something for everyone to both love and hate in this plan that I've introduced," Brown told lawmakers. "Both of these options are framed as being extremely difficult politically. But in reality, the choice is very clear: do you, state legislature, want to smartly pay down PERS debt to help our schools? Or do you want to send out almost a billion dollars in tax refunds and insurance rebates?" "It is the height of fiscal mismanagement," she concluded, "to on one hand say something must be done about the PERS unfunded liability, and on the other hand do nothing to stop the state from sending out over a billion dollars in tax breaks to wealthy Oregonians and businesses over the next 12 months."